New York City has a long and well-known history of organized crime. Lately, however, the Big Apple has been fighting bandits of a different nature - a burgeoning raccoon population that's been wreaking havoc throughout the five boroughs. We recently read about a raccoon that was captured aboard the USS Intrepid, while several others were caught trying to bust into a Bronx-based Chinese restaurant. These bold, masked marauders are highly adaptable creatures; able to thrive pretty much anywhere there's food and shelter. Construction-generated disruption to their habitats is only making things worse. 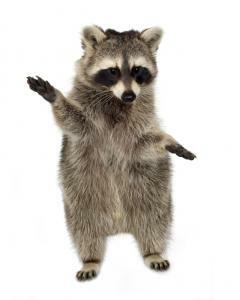 Accordingly, there's a bigger market for raccoon trappers these days as residents have been calling for back-up to purge the streets of these undeniably cute, yet potentially dangerous, new neighbors. With the new equity crowdfunding rules coming into force soon, banks may also need to seek reinforcements. As crowdfunding becomes more commonplace for retail investors, it's possible that more start-ups will seek this type of funding and some will bypass bank loans in the process. By way of background, starting May 16, 2016, US companies can use crowdfunding to offer and sell securities to the investing public. Prior to this, only accredited investors (wealthy or sophisticated) had the option of buying shares of start-ups and early stage companies. Soon anyone will be able to get in on the action, provided they satisfy certain SEC guidelines. However, many businesses still don't seem to understand the risks involved with crowdfunding. As such, this is an area banks have an opportunity to help their customers make more informed choices. For starters, explain to small businesses that crowd funding could be risky because if the full amount isn't funded, many online markets don't allow the start-up to receive any money at all. So if you set a goal of $2k and you raise it, the money is yours, but if you only raise $1k, you get nada. Start-ups may not realize the importance of reading the fine print, so community banks have an opportunity to provide value. Consider also that small businesses may not get the math. A bank loan can be had at 4% to 5% in many cases, yet marketplace funding channels seem to run up to 10x or more above those levels. Small business owners need money to continue to operate, so every dime counts. Small business owners may not understand that raising money through equity crowdfunding isn't as simple as building a webpage and signing up investors. About six months before launching a campaign, businesses need to do the necessary legwork to build a network and gather the contact information of potential investors. Small business owners will have to be really careful here or perhaps not reach their goals. Additionally, banks can add value by pointing out that start-up businesses often need ongoing advice and support. This hand-holding and firsthand knowledge based on real experience from bankers isn't available through equity crowdfunding. Funding alone does not ensure the success of a new business. Even promising businesses fail without proper and continual guidance, and by taking the equity crowdfunding route, start-ups could be more prone to failure. Certainly, there may be benefits to using equity crowdfunding as a means to fundraise, so bankers will have to acknowledge these and prepare a counter offering to deal with this lending challenger. In the meantime, have conversations with customers to help them understand that you're looking out for their best interest, and can provide things such channels just can't do. The more you can do to help small businesses make smart choices, the less masked invaders will continue to try and encroach on community banking. Yields fell 2bp--the largest weekly advance since Jan. The Wall Street Journal reports some brokerage firms are launching new fee based products in preparation for the pending Labor Department rule that requires brokers to hold a fiduciary position when providing advice to people related to their retirement plans. Meanwhile, a survey of investment advisors by Fidelity finds 62% expect to fire smaller customers as a result of the change and shift in risk back to the firms and 73% say they are concerned the new rule will have a negative impact on their business. A survey of Millennials by Morphis finds 92% of Millennials say they would make a banking choice based on the bank's online services. A study by The Center for Generational Kinetics and Global Cash Card finds 33% of Millennials say the concept of a pay card is valuable and 64% say such cards should be offered by employees instead of typical paychecks. A study by MasterCard that tracked 2mm social media posts about mobile payments on various platforms found digital wallets (Apple Pay, Samsung Pay, etc.) comprised 97% of mobile payments conversations last year. Other discussions swirled around contactless cards (47%), biometrics (33%), personal payments (14%) and wearable's (6%). Research by JPMorgan finds that while the recent increase in oil prices has reduced some risk in energy lending exposures, things are likely to get worse in the coming quarters as the credit cycle rolls forward. Bankers are now working through lobbyists to ask the Fed to raise rates and get back to normalizing things, as making money is becoming increasingly more difficult. Bankers warn that continued low rates are having increasingly negative consequences. A survey of CEOs by the Business Roundtable finds: the economy is projected to grow at 2.2% this year, 38% expect to reduce employment in the next 6 months and 29% expect to increase hiring during the same period.